As you go through the pages of this book, you are introduced to a world called ‘Room’. A 11′ by 11′ hole where Jack lives with his Ma, who is unnamed throughout the novel. You are hooked on immediately as you wonder why they are living there, and why the plucky five-year-old speaks about objects and things around him in the way that he does. Room is a first-person narrative by Jack. He orients us into his world, where he and his Ma have a busy routine with exercises, reading, and singing. He counts each of his cornflakes, and talks to the Bed, Room, Wall and others that he perceives as real. He has only five books, including Alice’s Adventures in Wonderland that are treasured and read again and again. They also have a T.V. set that has characters from other worlds, such as the lovable cartoon character, SpongeBob SquarePants. To Jack, this is his world because his Ma told him so. The Room is their world and everything and everyone else is on another planet. Their only connection to humanity is Old Nick, a man who visits them every week, bringing groceries, necessities, and occasional treats. Whenever he visits, Jack is made to sleep in the wardrobe, while his Ma and Old Nick make the bed go thump–thump. After his fifth birthday, his Ma reveals to Jack the truth of the world outside their room. The Room is a prison; a sound-proofed, fenced, and leaded shed with a skylight, where his mother has been held in captivity for seven years after being kidnapped when she was a 19-year-old student. She tells him about a real world outside, about trees, and life, about grandparents he doesn’t know of, and about her brother. She reveals an escape plan that Jack initially hates and then relents, as his Ma insists and makes him promise to follow her instructions. You’re gripped through the scene where Jack escapes from Old Nick, who thinks that the boy is dead, and leads the police back to the shed where his Ma is still locked in. Their escape from the Room and their entry into the real world, or Outside, as Jack calls it, is where the rest of the story begins. 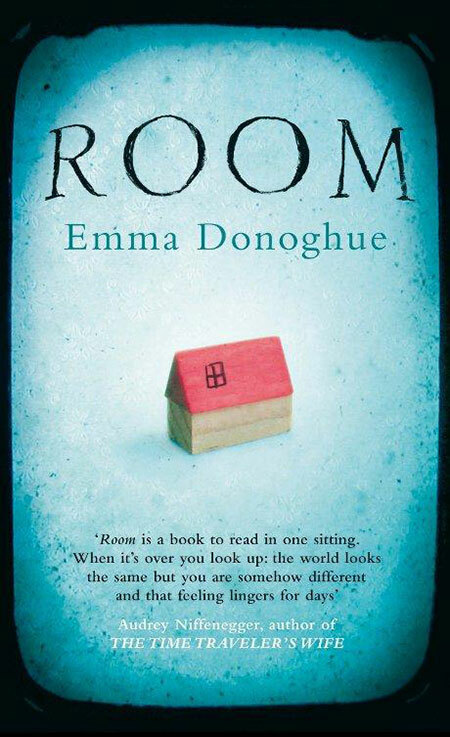 The author Emma Donoghue perfectly captures their fear, confusion, frustration, and anxiety with the outside world—and with each other, given that things are different now and their lives are changed forever. In come the grandparents (now separated), Jack’s uncle and his family, a lawyer, the doctor and nurse who take care of them, and a step–grandfather. Looking at people and situations, as well as their reactions to Jack and his Ma, through Jack’s eyes, is hilarious, and at times heart-rending. The author is spot-on in the characterisation of Jack, and successfully gets into the voice of the five-year-old. Jack has a number of questions when he is shown on T.V. along with his Ma after the great escape, on being described as a monkey and a ‘bonsai kid’ who was brought up in captivity. He and his Ma are treated differently by people, mostly with sympathy, while some, like a T.V. show host, treat his mother with cynicism and a note of contempt for her decision to raise him in the way she does. The scenes where adorable Jack spends time at the hospital, family time with his uncle, Paul, aunt, and cousin sister on the trip to a shopping mall, and when he is left with his hapless Grandma who is at her wit’s end with his antics are a treat. They leave you with a lump in your throat, and at times make you laugh out loud. Where the author seems to have floundered is with the extreme decision Jack’s Ma takes at some point in the novel, which comes as a shock and seems hardly justifiable for someone who’s been through so much. Her relationship with her brother, Paul, and her real father, who returns from Australia on hearing that she’s alive, is left relatively unexplored, and one would have liked to see these equations fleshed out, after she returns seven years later. How do these relationships change? What goes through her head? What are her dreams and aspirations in the outside world? All of this is left unsaid. Outside, Jack’s Ma seems to be more isolated and alone than she is in the Room with Jack. Some scenes in the book, where Jack, at five, still yearns for his Ma’s breast milk and feels closeness with his Ma when they bathe together and sometimes go without clothes in the Room, are likely to disturb or at least unnerve a normal reader. But when you think of it, after years in captivity (an entire life for Jack), the mother and son are as sane as they come. Room is a compelling story of a mother and child. It is devastating, tough, moving, tragic, and funny, all at the same time. It leaves you thinking about Jack and his Ma long after you’ve put it away, and it affects you at some level. The author also doesn’t end this like a fairy tale; she doesn’t paint a rosy picture of the future, or set up his Ma with a nice, new man, and a new father for Jack. She does none of that. Instead she takes us through their confused state of mind, where they learn, unlearn, come to grips with and deal with the wide world around them; as they fumble, adapt, fall, and fight back in their new journey into the real world. By Shaheen Ahmed · Be prepared, not to face your inner demons, but for one of the most average narratives to come from Anurag Kashyap’s oeuvre. By Tanushree Bhasin · Mushtaq Ahmed Yosufi's novel captures the overpowering sense of nostalgia that erupted in the Indian subcontinent after the partition.